QED XT40 is available in a choice of 3 lengths. This is supplied as a pair in a box, preterminated with heatshrink QED Airloc 4mm banana plugs. 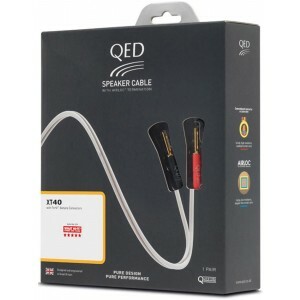 QED XT40 is a multi-award winning speaker cable which celebrates 40 years of QED's award-winning British heritage. Acclaimed by What HI-FI? Magazine who awarded it 'Five Stars' along with the 'Best Speaker Cable 2014' award, the XT40 pure copper loudspeaker cable boasts advanced X-Tube technology and a massive 4mm2 cross-sectional area. This results in a cable that delivers clear sonic advantages over conventional cable designs by maintaining a flat frequency response within the audio band. At low frequencies both X-Tube and conventional stranded/solid core speaker cables convey signals in a linear way. However, at high frequencies, X-Tube retains a near-linear signal transfer, whereas the conventional cable fails to conduct uniformly across the entire conductor area. The result is that X-Tube delivers greater detail and fidelity across the audio spectrum which would otherwise be lost in ordinary cables. The 4mm2 cross-sectional area means XT40 exhibits very low resistance, allowing amplifiers to exert outstanding control over the speakers they are driving. In addition, its large cross-sectional area makes it suitable for long cable runs. 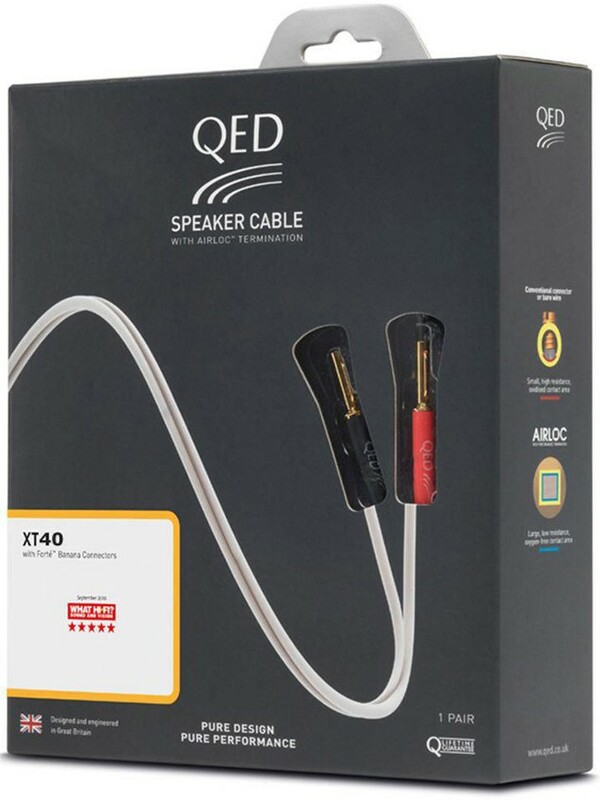 QED are so confident about the performance of the new XT40, audio enthusiasts are encouraged to audition and compare it not only to their favourite cable but also to alternative models at any price.